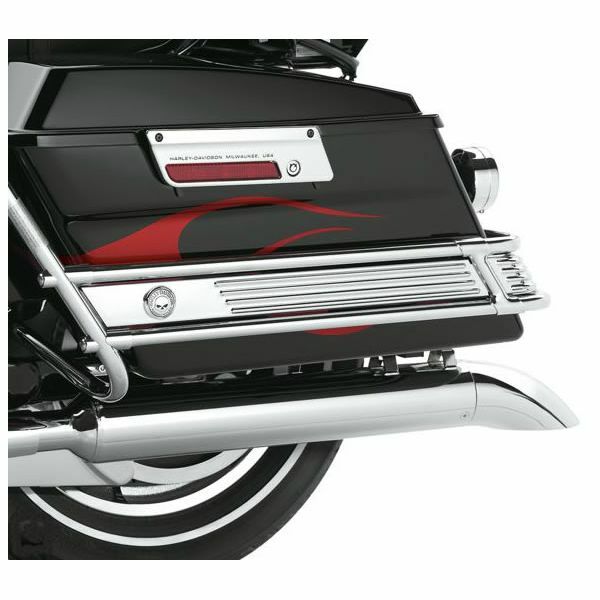 These ribbed trim panels with a chrome skull medallion nest between the saddlebag guard rails for a gleaming chrome accent. Styled to complement the Skull Collection front fender skirts, the Guard Rail Inserts complete a fender-to-fender customizing statement. 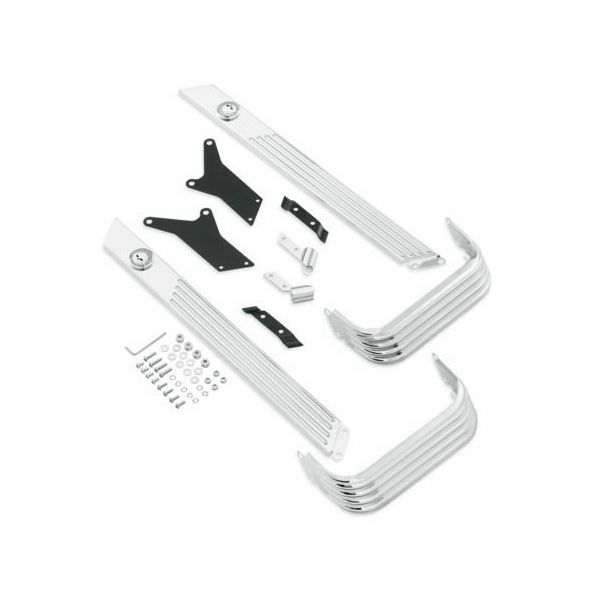 90214-05 fits '93-'08 Electra Glide® Classic and Ultra Classic®, '98-'08 Road Glide®, '93-'96 Tour Glide Ultra Classic® and '93-'08 Electra Glide® Standard with Chrome Saddlebag Guard Kit P/N 90839-93A.